Every single one of our cupcakes is made with all the finest quality natural ingredients. 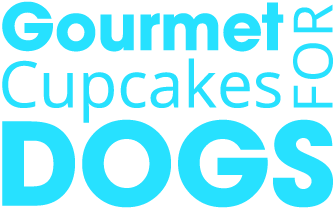 We use local, fresh ingredients with no preservatives and are wheat, corn, soy & gluten free (the most common allergens and fillers in commercial dog products) and baked in-house right here in our Virginia Beach Dog Bakery. Everything we make is free of chemicals, salt, artificial flavors, colors, fillers and GMO ingredients. Your dogs will absolutely love them! Gluten-free Flour: All of our products are made with a gluten-free rice flour. So many dogs have wheat allergies and instead of charging extra to make cakes for those special pups we decided to accommodate them from the start! We use a variety of fruits and vegetables in our treats. Blueberries, raspberries, pineapples, sweet potatoes, apples and all natural apple sauce. All Natural Food Coloring: This really keeps in theme with our core values, absolutely NO unhealthy additives or artificial supplements, not even for coloring. Be advised however that while colors derived from natural sources are SO much healthier for dogs, these colors are prone to discoloration over time.